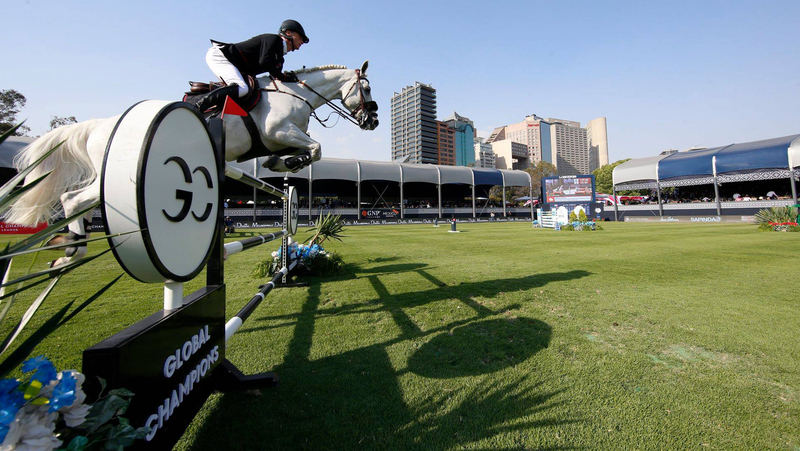 Don't miss a moment of the GCL and LGCT Grand Prix of Mexico City! LIVE on GC TV! You can tune in LIVE and for FREE at GC TV all day to catch the action from the GCL and Longines Global Champions Tour of Mexico City! With expert commentary, innovative graphics, rider insights and much much more, you won't want to miss a single second of today's competition. Just head over to our website or clink the link below. GCL of Mexico City will commence at 12.00 local time (19:00 CET) followed directly by the €311,000 LGCT Grand Prix of Mexico City at 15.30 local time (22:30 CET). It’s all to play for on the last day of LGCT Mexico City and after yesterday's edge-of-the-seat jump-off today is set to be even more thrilling!